It takes guts to put together a book about World Art Studies and to ask professor emeritus John Onians, the specialist in the domain of World Art Studies and the editor of the first Atlas of World Art, to serve as a reference during the first presentation. You run the risk of your search being compared to the voyage Columbus undertook to discover the New World. The publication World Art Studies: Exploring Concepts and Approaches, edited by Kitty Zijlmans and Wilfried van Damme, both affiliated with Leiden University, focuses on the ‘broad’ question of: how (contemporary) art reflects processes of interculturalization, how it interrogates them and calls them into question. The authors also looked for new interdisciplinary frameworks and concepts to better understand and situate this new art production. According to Zijlmans and Van Damme, (Western) art history must take up the challenge of incorporating as many different perspectives as possible, with the aim of making a new intercultural discussion possible. This is why the book contains not only contributions by art historians but also by anthropologists, archeologists, geographers, evolutionary biologists and neuroscientists. This call should be seen as a courageous attempt to counter stagnation within the artistic and scientific elite of the Netherlands in their assessment of non-Western art. A challenge that seems to have been enthusiastically taken up in many parts of the Dutch art world in the last few years, given the multitude of debates and discussions on the subject. A not unimportant motivation for these, incidentally, is a well-understood self-interest. The (subsidized) art world is increasingly facing issues of a political or social nature. In addition, works by artists from all over the world, to which a single predicate is seldom applicable, are increasingly exhibited. The sometimes old-fashioned institutions are also looking for a new audience, because their existing audience is aging. In practice, art deals with ethnically specific expressions of culture, all sorts of forms of fusion, multiple identities, dual cultures and subcultures. The fact that, from this perspective, it is suddenly no longer very clear what ‘Western culture’ actually is does nothing to simply things. The growing awareness that all sorts of Western art forms exist by the grace of non-Western influences incorporated by the West over time also contributes to this uncertainty. History is conveniently forgotten, dismissed as a primitive, exotic source of inspiration for ‘real’ art; the reproach that applying Western standards to non-Western art forms can lead to irrelevant judgments and exclusion is expressed more and more often. The basis of this is the cultural and philosophical debate between ‘relativists’ and ‘universalists’. Whereas universalists assume there is a quality, identifiable worldwide, that transcends cultural differences, relativists believe that each art form should be judged by its own, culturally determined standards of quality. One disadvantage of the separate contributions is that the reader is sometimes left with more questions than answers. In her contribution, researcher Jean M. Borgatti of Clarks University in Massachusetts addresses the images that different cultures have of one another and their ‘representation’ of one another. In the last 500 years, Europeans have often characterized objects from China, Japan and India as exotic, fetishes, or as ‘archetypes’. Only in the mid-twentieth century did these objects move from historical museums to art museums. ‘Rather than bringing understanding, recognition as art merely extended the projection of European fantasies upon these objects,’ says Borgatti. For instance, during the colonial era, it was assumed that these traditional works of art were relics of primitive superstitions. This idea is so dominant that well-educated African artists still find it difficult to refer to African traditions in their work. In her conclusion Borgatti writes that ‘it is not without irony that a principle long established in many parts of the World underlies the new paradigm forming for Western portraiture – that the power of the image depends upon its being unseen’. But what does she mean by this? Were we in the West too late in recognizing the power of other cultures and artistic expressions? And what should we do differently? The book contains more such ideas, set down on paper without a clear conclusion. They join the mishmash of divergent ideas and approaches that already exist in relation to the discussion about the existence or non-existence of Western and non-Western art forms. We are therefore being asked to look at art in a different way and to look at ourselves in a different way. In the process we are constantly working on giving ourselves a direction. 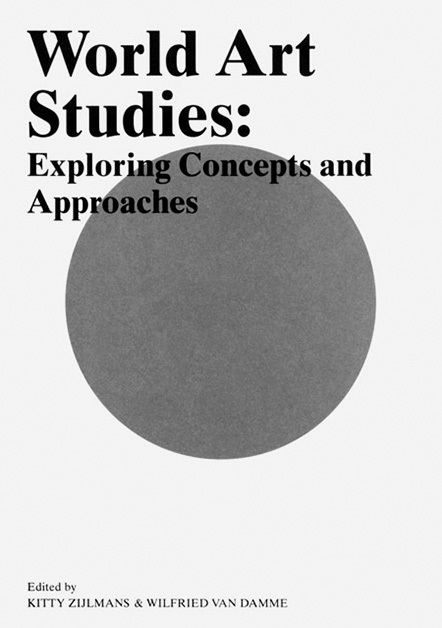 These critical reservations notwithstanding, World Art Studies is a mature contribution towards opening the dialogue with other scientific domains without the pretension of having one unequivocal answer. It is to Zijlmans and Van Damme’s credit that they want to participate in a highly topical discussion in this way. 1. Kitty Zijlmans, 'Het kunstwerk en zijn tijd', Leidschrift, historical journal, volume 17, 17–03. Özkan Gölpinar works as cultural diversity programme manager for the Netherlands Foundation for Visual Arts, Design and Architecture. He has previously worked as a reporter for the newspapers de Volkskrant and Trouw.